One of the best things about food, besides the wonderful flavors and aromas, is the memories it can evoke so strongly. How many times have you eaten a particular food only to be "transported" back to a different place and time—perhaps dinner at grandma's, a fun vacation, or a gathering with wonderful friends? 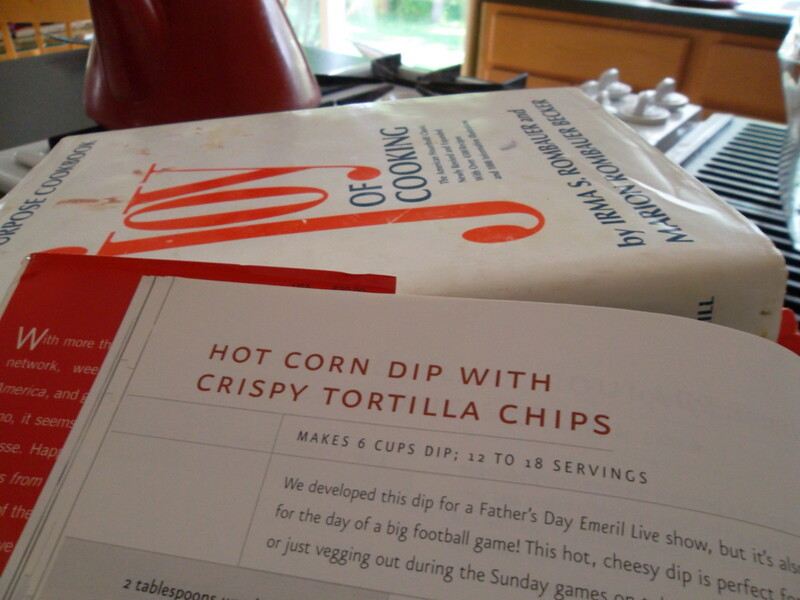 In addition to being a crowd-pleasing party dip and easy to make, this hot corn dip recipe, from Emeril Lagasse's Prime Time cookbook, conjours up such fond memories for me. My copy of this cookbook, complete with Lagasse's autograph and famed "Bam!" expression, was a wonderfully unexpected gift from a close neighbor and friend. After returning from a California business trip for the launch of Lagasse's venture into wine, Diane gave me this token of appreciation for watching her boys, my children's best friends. Quickly, this hot corn dip became a summertime neighborhood backyard gathering staple and a block party favorite. Diane and her family have since moved away, but each time I taste these sweet and spicy flavors (that really do make you want to say, "bam"), I think of our wonderful neighbors. 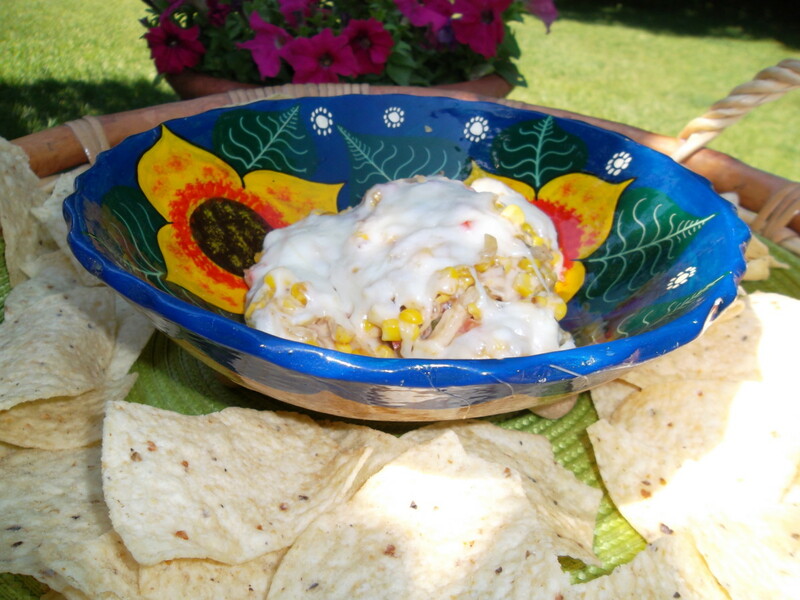 How do you rate this hot corn dip recipe? 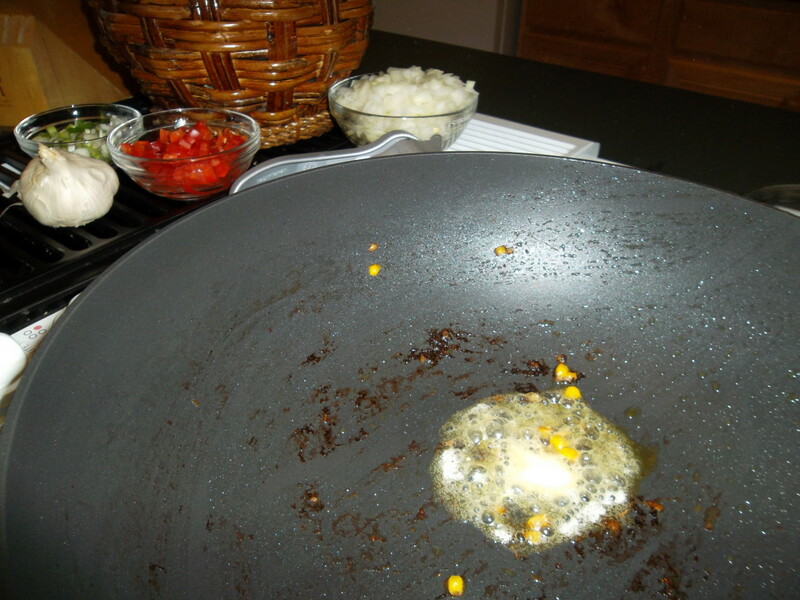 Melt half of the butter in a heavy skillet over medium-high heat. 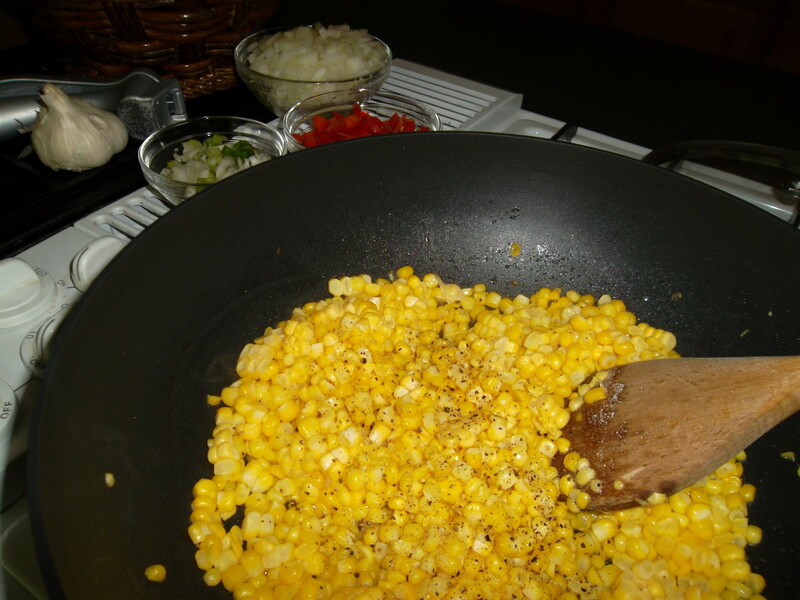 Add corn, salt and pepper. 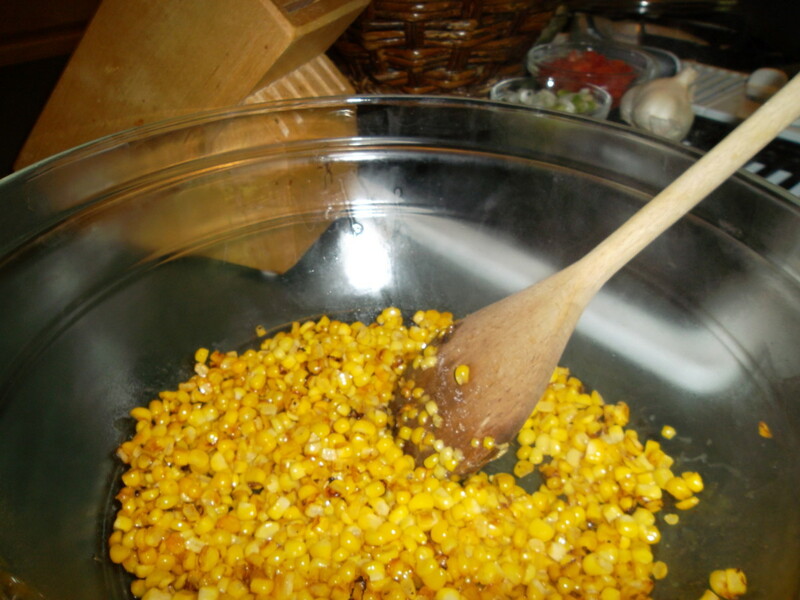 After the kernels turn deep golden, about 5 minutes, put the corn in a bowl and set aside. 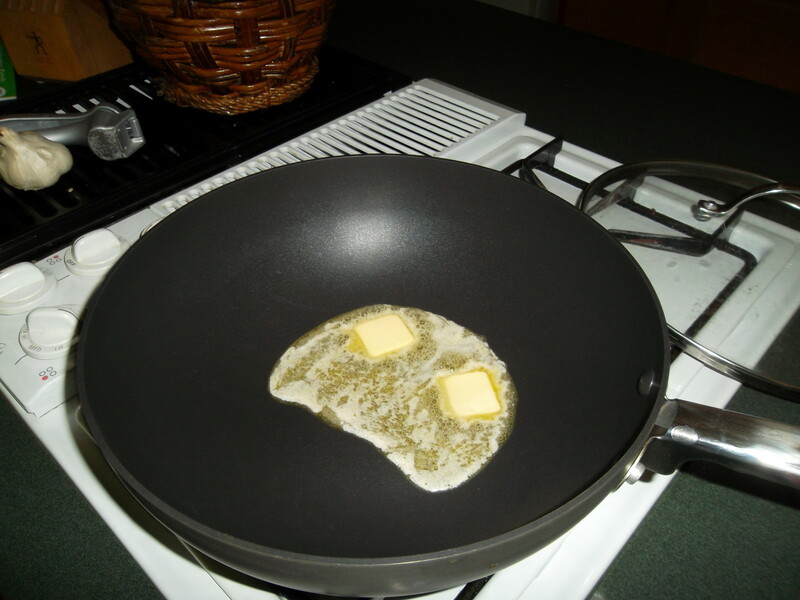 Melt the remaining butter in the skillet. 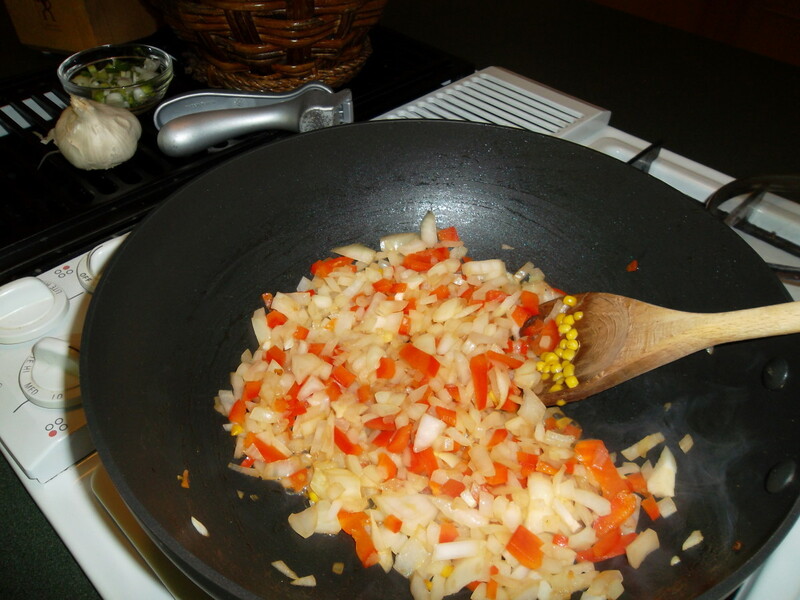 Add the onions and bell peppers, stirring until onions are wilted, about 2 minutes. 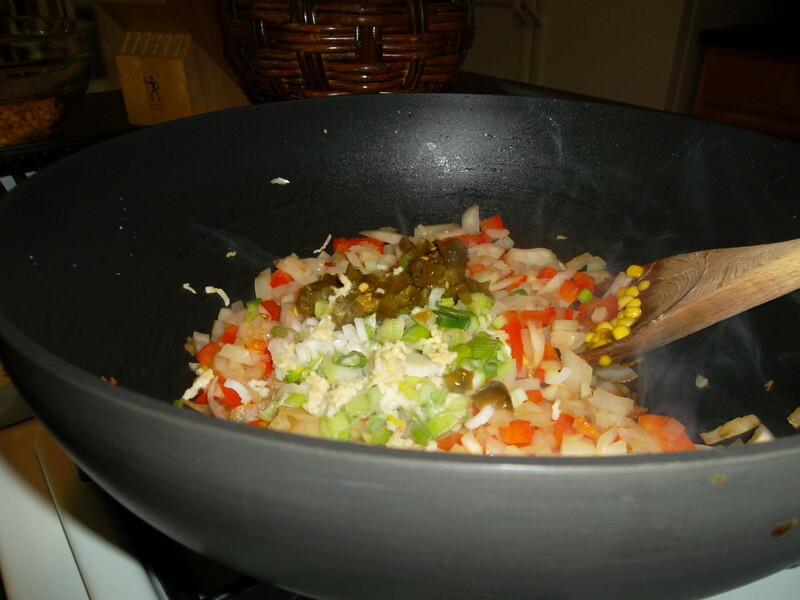 Add the green onions, jalapeno and garlic; stir and cook for 2 minutes. 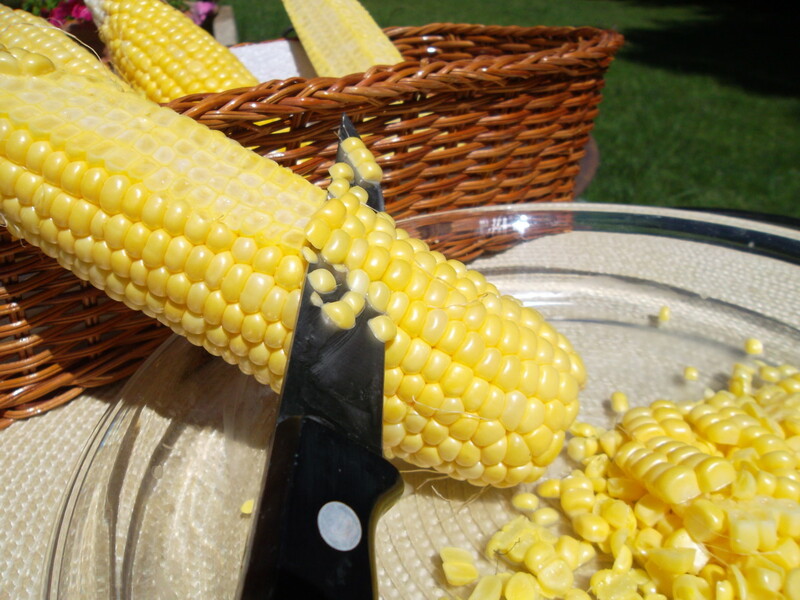 Pour into the bowl of corn and let cool. 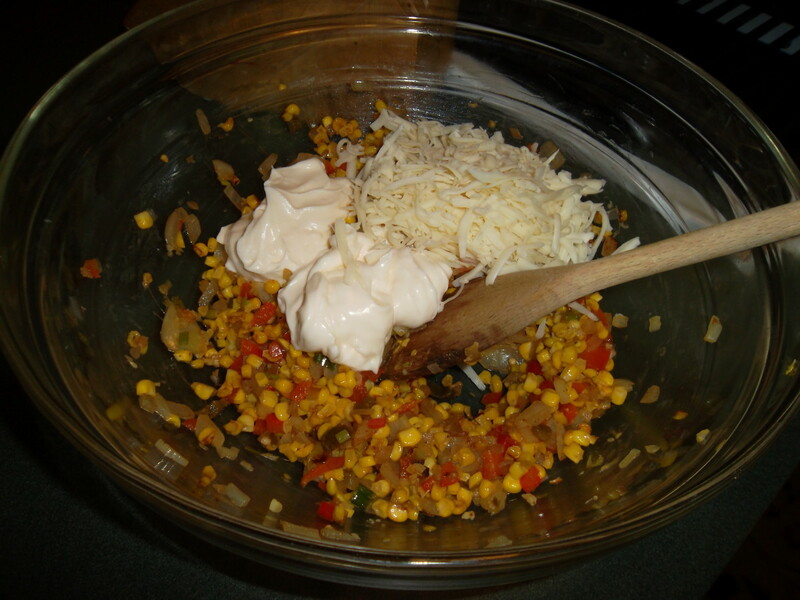 Add the mayonnaise, 1 cup of shredded cheese, and cayenne to the corn mixture in the bowl and mix. 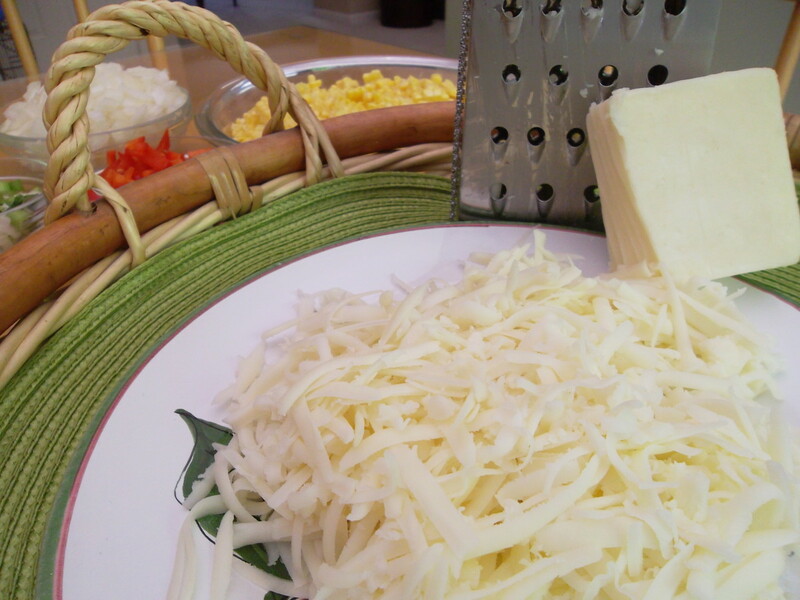 Pour into an 8" square oven-proof dish and top with remaining cheese. Turned down a music scholarship to go to culinary school. Following culinary school, Lagasse fine-tuned his chef skills in Paris. Known to this day for only using the best and freshest ingredients, Lagasse worked in a few of the finest restaurants in the Northeast United States before moving to New Orleans. It was in New Orleans in 1990 where Lagasse opened his first restaurant. Emeril's restaurant received critical acclaim, not only from the local New Orleans' food critics, but from national food and culinary magazines as well. Since his early success in New Orleans, Emeril Lagasse opened a series of restaurants, hosted several popular television shows, in addition to always creating new recipes, like the hot corn dip recipe that I love so much. Thanks GTF - for reading and sharing. 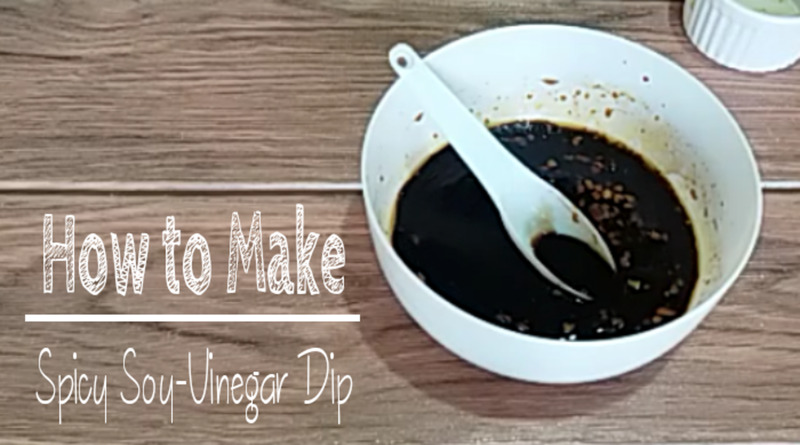 I love this dip, especially this time of year as the weather begins to get cooler. How did I miss this. This looks awesome. Shared/pinned/tweeted! 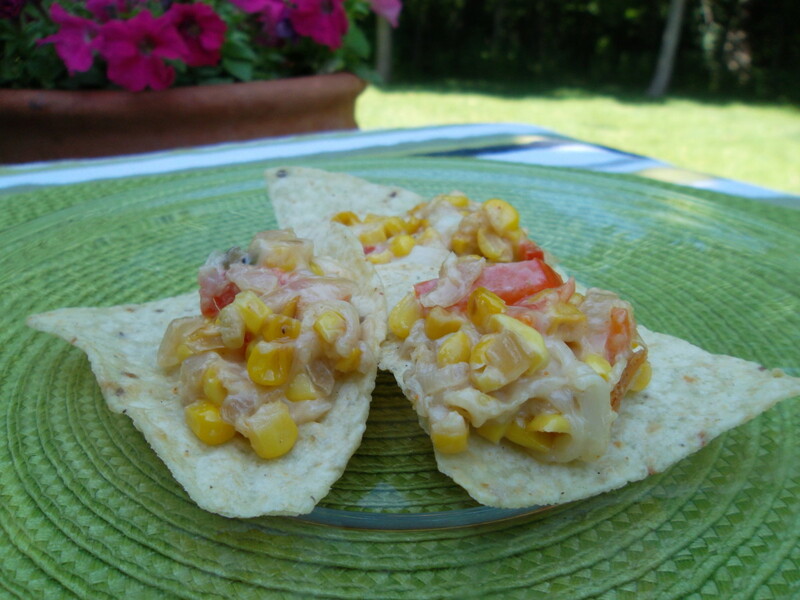 Vespa - I especially like to make this hot corn dip in the late summer when fresh corn from Illinois is in abundance. I hope you have a chance to make it sometime too. Thanks for your comment. I've never had hot corn dip but would love to try it. 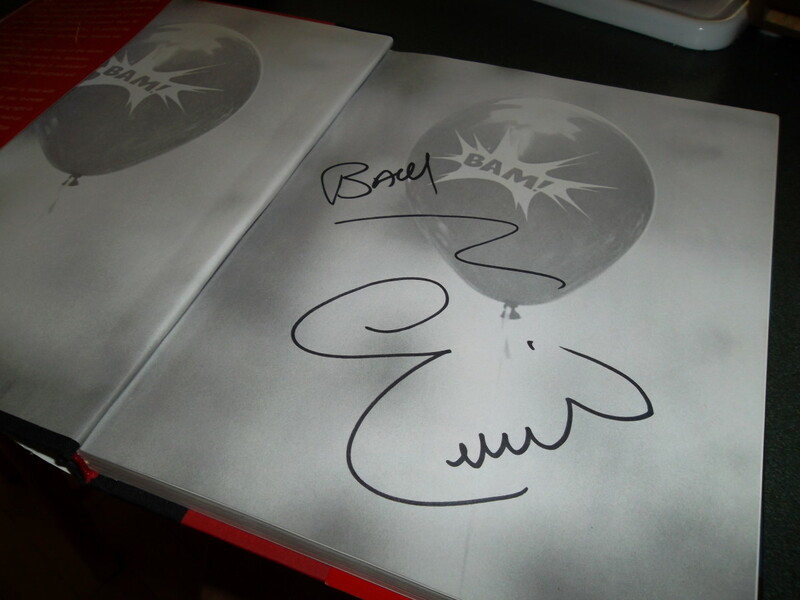 What a nice gift to receive an autographed Emeril cookbook! I enjoyed reading his bio--very interesting. It's so true that foods can transport our minds to another time and place. Thank you for sharing. Thanks torrilynn. Most of the ingredients are good for you, except of course the cheese and mayo. 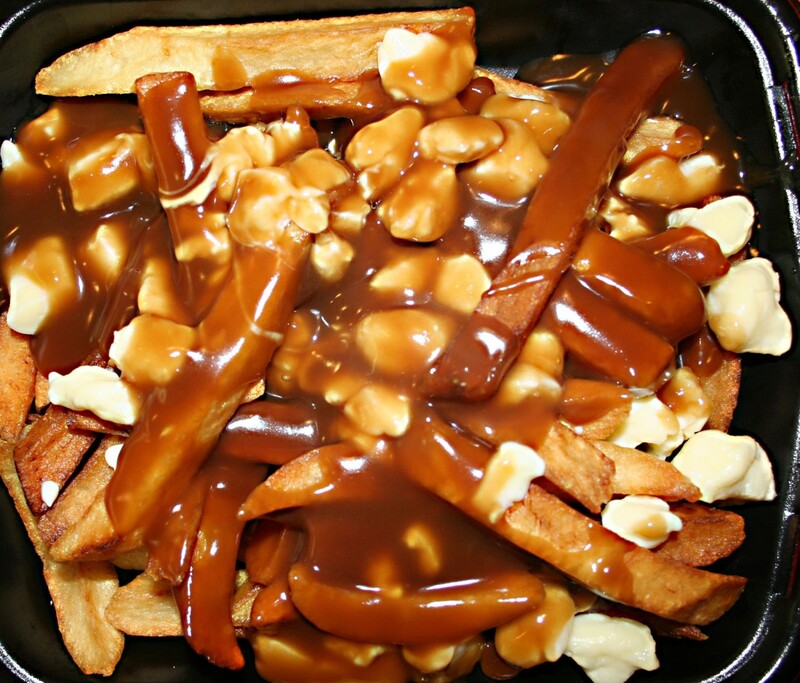 Sometimes when I make this I use a light mayo and a little less cheese. 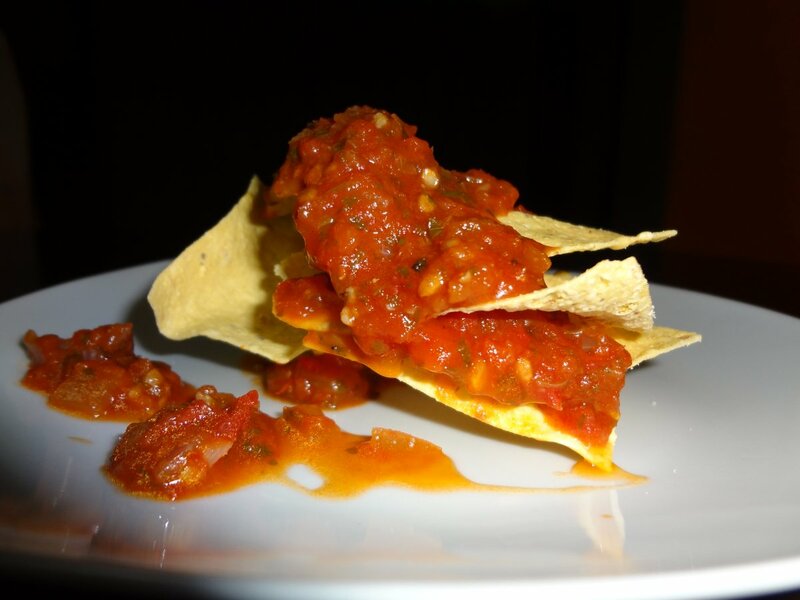 Either way, it tastes really good and since it's a dip/appetizer it's a good recipe for parties and groups. You're welcome SkeetyD. I hope you like it if you get the chance to make this recipe. Don - Those are two really good reasons to make this dip. It really is good and the cayenne pepper gives it a little zip. 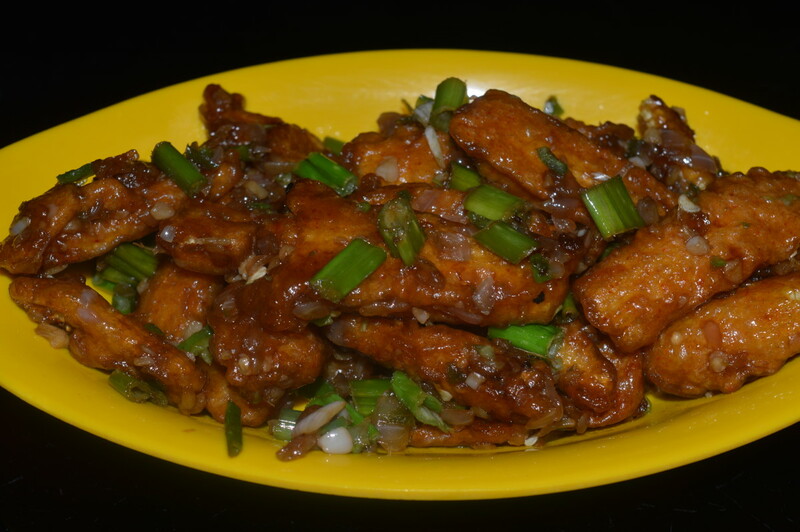 Let me know how you like it and thanks for the vote and for sharing this recipe with others. 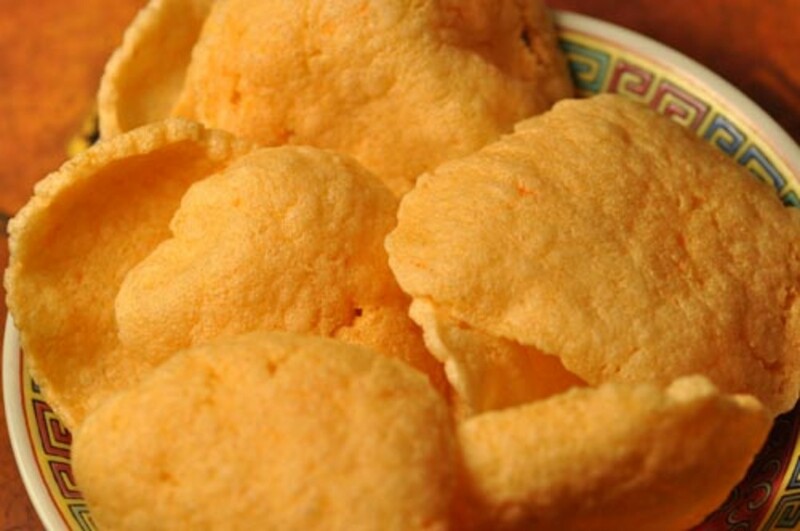 A simple and delicious looking recipe. Thank you for sharing it. 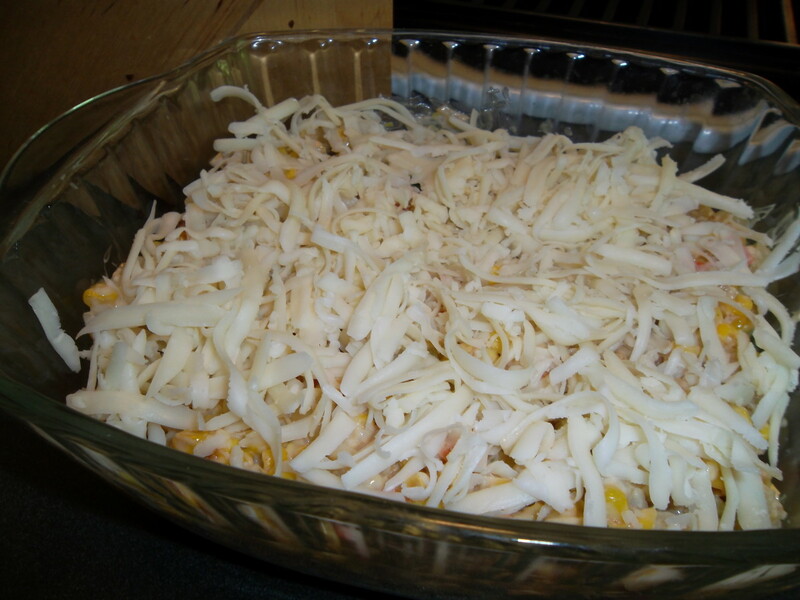 ktrapp- This looks like a great recipe for a tasty dip. I am going to try it for two reasons. 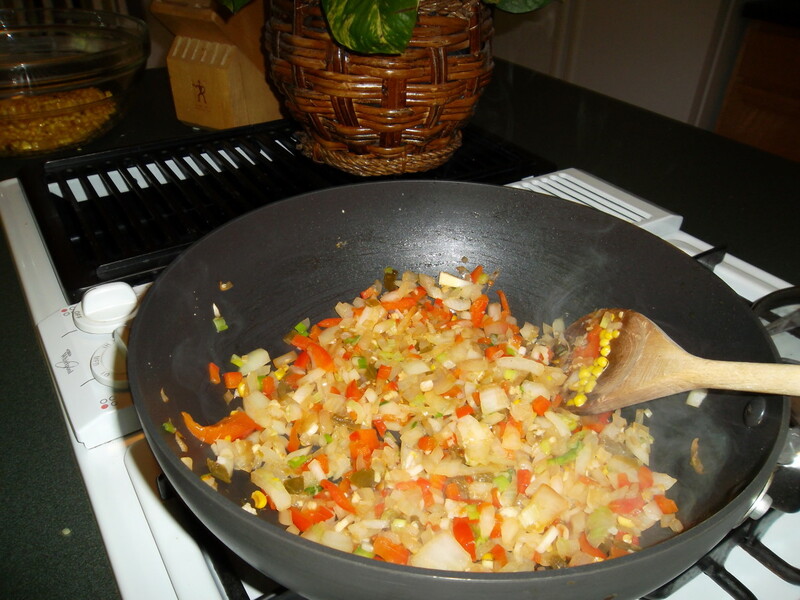 1- It is as Emeril recipe and I have been a regular follower of him and his great recipes. 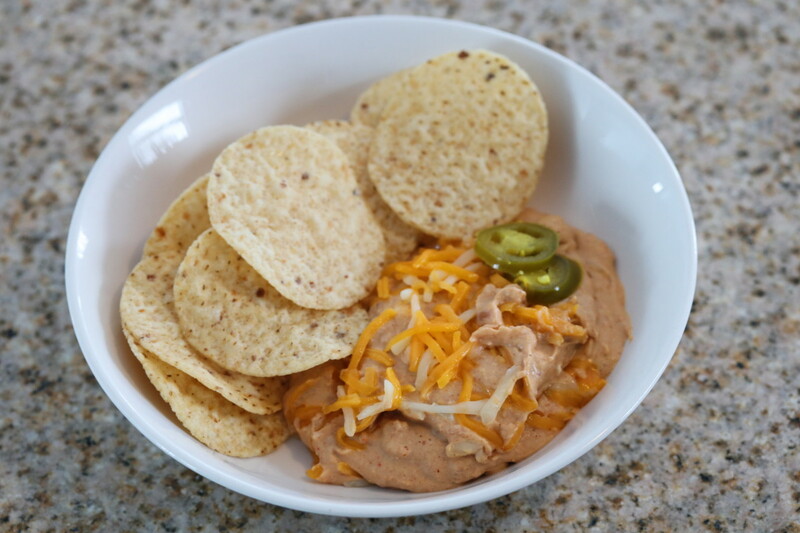 2- Any dip that used a whole cup of mayonnaise in it has to be good. Carol - It really is a delicious dip. I love the corn in it with a little bit of spiciness added. This sounds delicious and easy enough to make. Anything that has those two words attached is great. Thanks for sharing and voting UP. Thanks Vicki. Emeril does make some great food. I would love to go to one of his restaurants sometime. 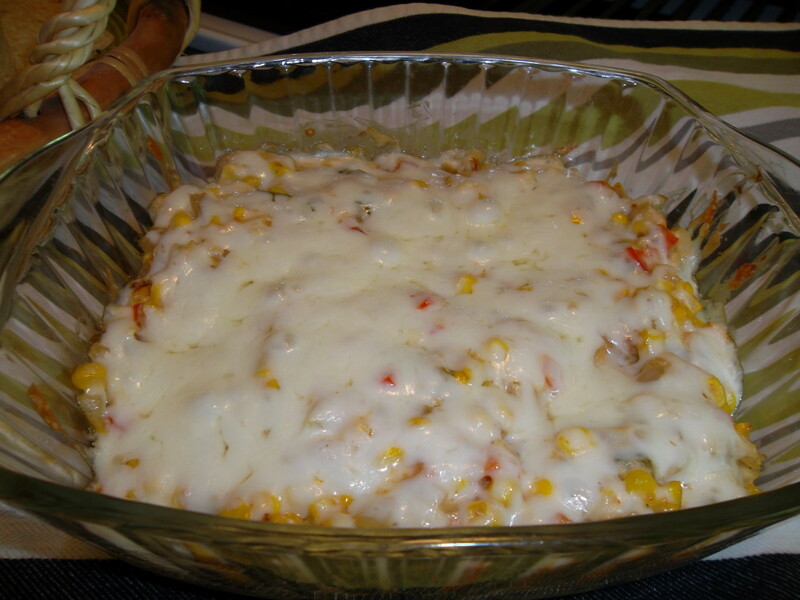 This hot corn dip is one of my favorites and is just one of those foods that everyone seems to like. Thanks for your comment, sharing and Pin. This looks delish! Your photos are awesome. Emeril makes some great stuff. I can't believe there aren't more comments on this hub, so I'm going to share it! Pinning it, too! Hi Jamie. 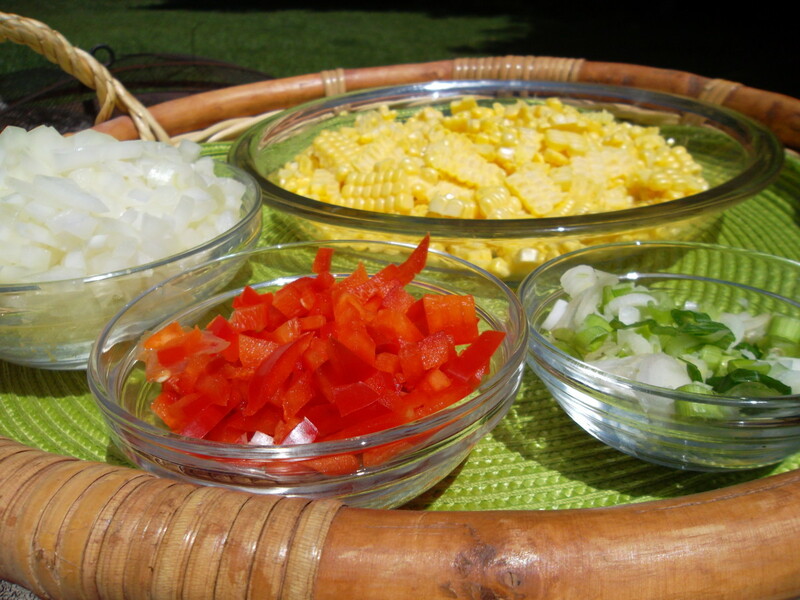 If your picky little eater likes corn and spicy foods, then he is sure to like this. It's not too hot, but you can always adjust the amount of jalapeno and cayenne pepper. When my son was not even two he loved corn chips and medium salsa. I would just watch in amazement, so it's easy for me to believe that your son loves spicy stuff. Enjoy. 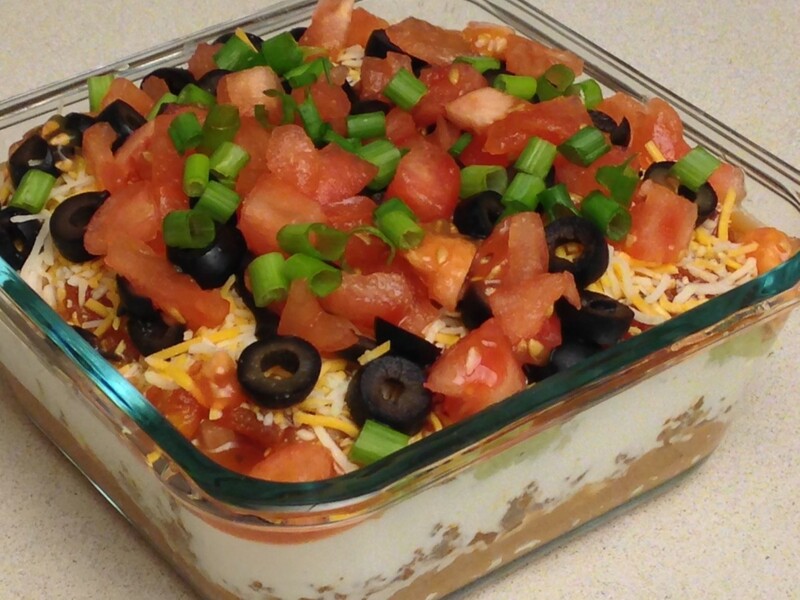 Okay, this corn dip has my mouth watering! It sounds wonderful....thank you for sharing the recipe and all the great photos. This sounds like it may be a good one for my little boy..He is 4 and such a picky eater but he loves corn and believe it or not, he loves spicy stuff, as long as it's not too, too spicy. I am definitely putting this one on my list to recipes to try. Thanks so much Victoria Lynn. I'm glad you enjoyed everything. Beautiful hub. Very nice photos. 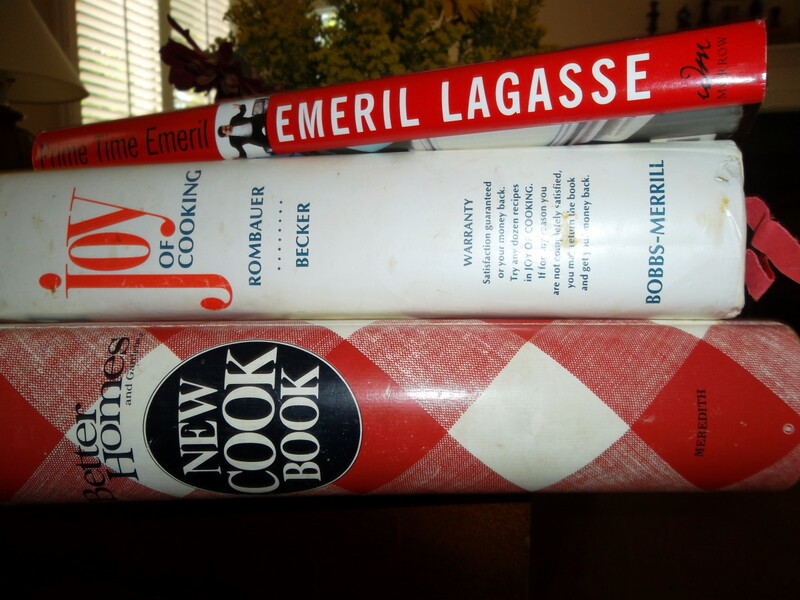 I enjoyed the background about what the recipe means to you--and about Emeril. Looks like a tasty recipe, too. Well done! Thanks catgypsy. 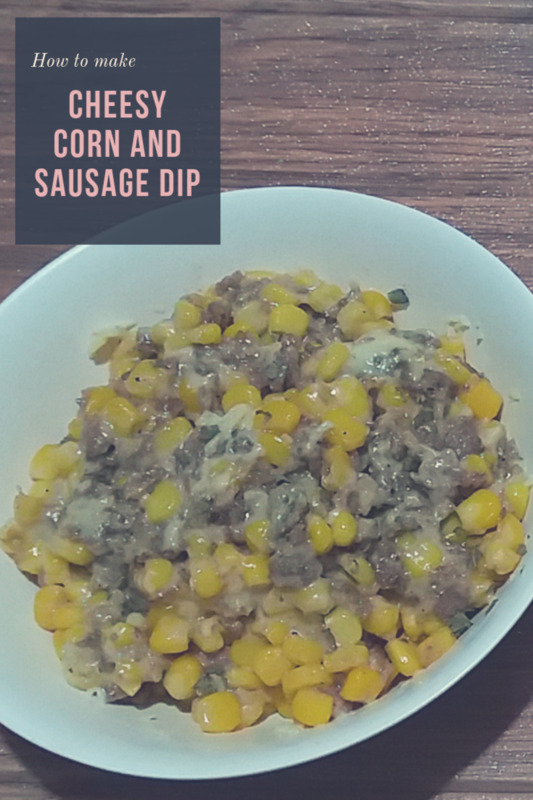 It is great and you really don't see that many dips with corn in them, do you? Sounds great! And different from the usual spread of dips...definitely have to try this! Thanks ktrapp! Denise - Thank you for writing such a nice comment and for reading. You should definitely give e2 emeril's eatery a try when you're in Charlotte. According to their website, the restaurant was voted best new restaurant in Charlotte Magazine's Best of the Best 2012.
kashmir56 - Normally I can't eat really hot/spicy foods, but this has just enough "heat" combined with the sweet corn and cheese that it is the perfect combination of flavors. I hope you get to try it out this summer. Hi ktrapp, this sounds so awesome and i love anything that has jalapeno and cayenne in it. i will have to try it this summer. Vellur - It's very tasty. I even heard my college-age son get some and warm it up about midnight last night to have some more. Tasty recipe. Easy to make. 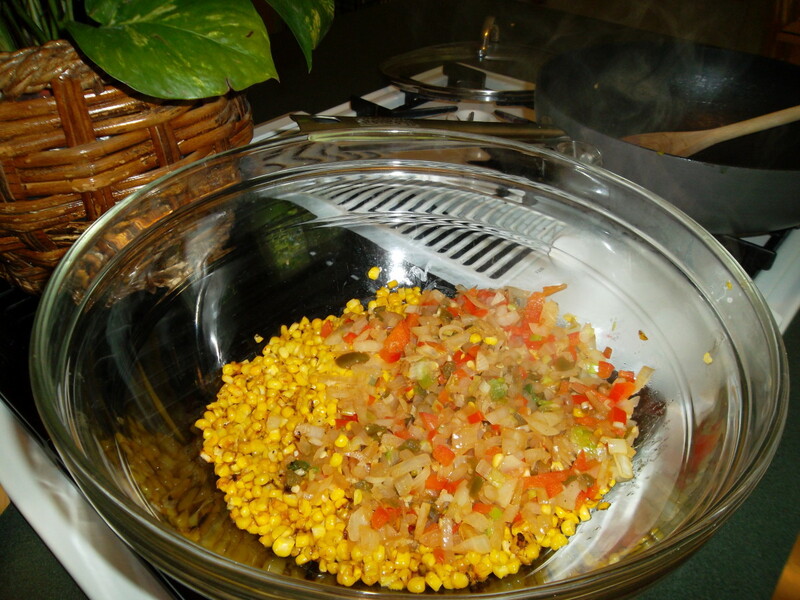 liapie - It definitely is tasty with the sweet corn and onion along with the jalapeno and cayenne. 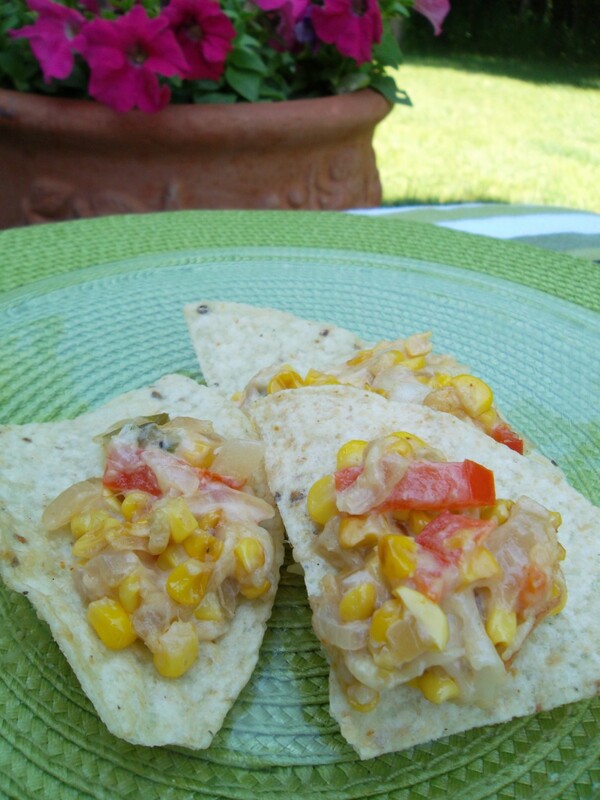 CrazedNovelist - You should give this corn dip a try. 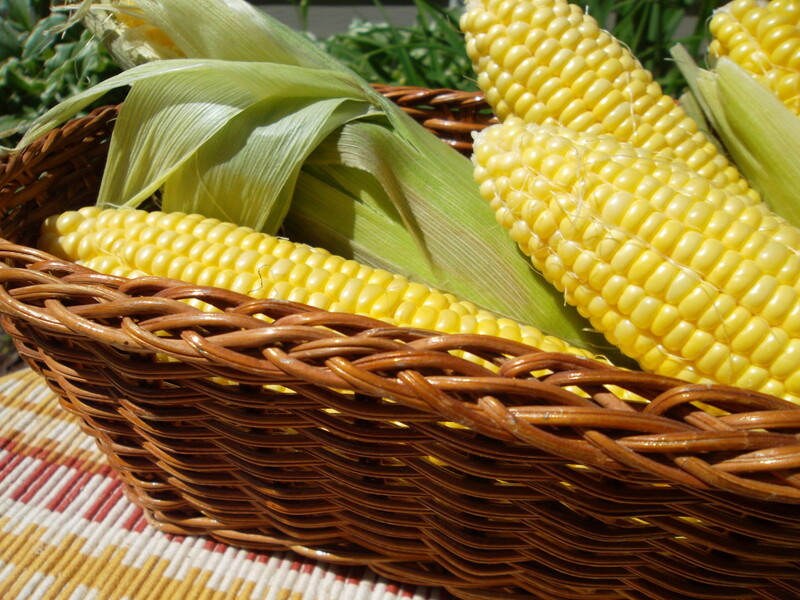 I love to make it in the summer when corn on the cob is plentiful at the grocery store or farmer's markets. Thanks for the nice comment.